The holidays are quickly approaching…and student attention spans are quickly fading. Do you notice more behavior issues around the holiday season? Decline in attention span? Decline in engagement in activities? Kids are just so excited for the holiday season and break from school…can you blame them?! Below are a few ideas to keep kids engaged and learning all the way up to Christmas (& other holidays) break. I found that these few simple, easy to implement, and free ideas help to bring attention back to the classroom in a fun and engaging way during the holiday season. I taught fourth grade, and we had first grade reading buddies. During the holiday season, we buddied up our first graders to do buddy reading. I let my students pick any book to read, because it allows for inclusion of all holidays, Christmas, Hanukkah, Kwanzaa, Ramadan, and those who choose not to celebrate a holiday. Students practice reading their chosen book to a classmate during reading time. This allows them to hear a book, and also practice their reading skills. Once they have practiced, we have a “buddy reading party” our first grade partner class. The students LOVE getting to buddy up and “teach” their little buddies, and their first graders look up to them like they’re celebrities! Embrace the time prior to vacation by counting down the days with themed days in the classroom! I like to start about 1-2 weeks before vacation. Theme each day, such as wear red day, bring a stuffed animal to school day, thank a staff member day, etc. My personal favorite to include in the countdown is thank a staff member day. It reminds students to be thankful during the holiday season, and allows them to express thanks to someone they appreciate (all while sneaking in those writing skills)! My personal favorite to compare and contrast is using the Polar Express by Chris Van Allsburg. I just love that book and movie! They’re so different, this task is perfect to sneak in some reading skills. I like to read the book first to students as a read aloud then show the movie. Try using a simple Venn diagram and challenge students to fill in their diagrams, then have a class discussion. Hint: Here is a link to a reading of the Polar Express on YouTube. Put up a butcher paper Christmas tree on your bulletin board. Then challenge students to create presents to go under the tree. Each student designs their own present made out of graph paper. Ask them to calculate area and perimeter of the present they have designed. You can use 3D boxes and incorporate fractions, asking them to calculate what percentage of the package is a certain color. You could also calculate what percentage of the package is covered by ribbon. The possibilities are endless. Decorate ornaments for the tree in geometric shapes, and have students again calculate area and perimeter. 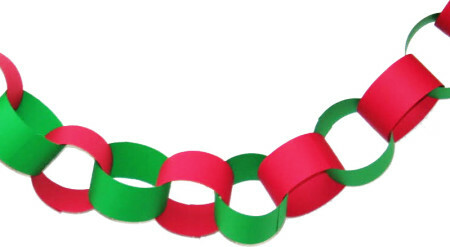 Have students each decorate a strip of paper to add to the class paper chain. On the strip of paper have students write down their wishes (either for presents they want to receive or things they hope happen on vacation). My personal favorite was to teach about Grandma Moses & Norman Rockwell. I like to use this as a time to introduce the artist, their accomplishments, and life. Once students have learned about the artist, I have them create an art piece using the same style that the artist drew or painted in. You can use the completed works of art to make a holiday themed bulletin board. Hint: Here is a link to Grandma Moses’ biography. Here is a link to Norman Rockwell’s biography. In my classroom we created something that all kids could create no matter what holiday they celebrated, think snow related crafts. We made pine cone skiers. I used a pine cone as the body, popsicle sticks for skis, a wooden bead or glass bead for the head, pom-pom for the hat, pipe cleaners for the arms, and then placed a variety of other materials out for students to embrace their creativity. There are many other crafts you can do, such as snowflakes, handprint art, clothes pin snowmen, etc. Give Students the Chance to Color! Allow students to get their creative juices flowing and color. I liked to use math multiples that ask students to color in spaces based on the multiple or common multiple. Kids don’t realize that they’re learning because they’re having so much fun coloring! Hint: Here’s a great Christmas/winter coloring set that integrates math multiples! When behaviors spike during the craziness of December, it’s time to implement a brand new behavior system that kids love. It’s called the Holiday Bonus Box. Who doesn’t love to enter a drawing and win something? That’s what the Holiday Bonus Box is all about! It’s a simple program that saves your sanity and keeps things positive during December. Get a big (Costco size) cereal box, cut hand-size hole in the top of the box and wrap it with a shiny red red holiday paper. Add notes printed on red paper for fun rewards students will draw and win, things like sit by a friend for the day, use the teacher’s roller chair all day, be the line leader all day, and so on.If you’re up for some more fun, you also work to help your students with less than desirable behaviors to give them a chance to turn something negative into a positive. You can implement the Grouch Box. This box only works if you are super positive with this and know how your students tick. It’s is not a punishment; rather, a fun way to get kids laughing and making better choices by doing a good dead to “undo” the grouchy deed. Wrap this box with a grouchy green paper. Add notes telling students thanks for being a good sport and to do something nice for others, like go wish the secretaries a happy day, to thank the custodians for all they do keep our school shiny and clean, and help the librarian organize books, etc. Choose fun things that are acts of kindness and other good deeds. Kids love this and if they love it too much, (if you know what I mean!) you might need to pack it away until next year. Use the holidays to sneak in tons of math, grammar, and geography review! It’s a different twist on learning, and the thinking skills and review are much needed and are well received when it’s holiday themed. Best of all, when you use themed curriculum, students stay engaged and working right up until the holiday break. Students go on vacation with positive vibes and smiles on their faces. Hint: Here is a link to a great 12 Days of Christmas Language Arts Lesson. Hint: Here is a link to a great math lesson about the 12 Days of Christmas. Enjoy time off and spend time with your loved ones. Happy holidays, everyone!